The GPU wars between AMD and Nvidia are heating up, and as a result, prices are coming down. If Newegg listings are any indication, AMD has slashed prices for its top-of-the-line Radeon R9 295X2 graphics card to around $800. To put that into context, the R9 295X2, which features two graphics processors and 8GB of GDDR5 memory, cost $1500 when it launched earlier this year. Once Nvidia released its $550 GeForce GTX 980—the most powerful single-GPU graphics card we’ve seen—AMD responded by slashing its prices. 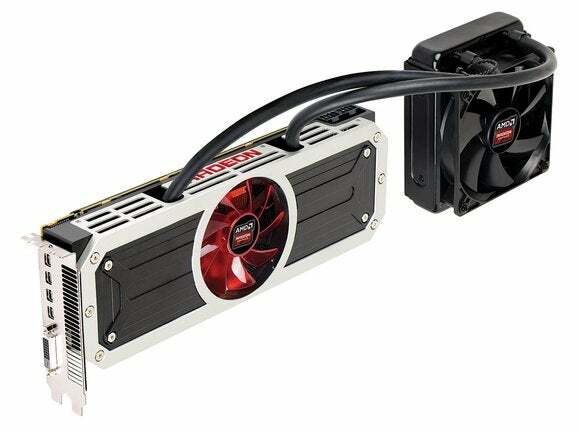 AMD dropped the R9 295X2 dropped to the $1000 range, and the R9 290X to $300. AMD also responded by bundling Civilization: Beyond Earth—and three additional games—with its R9 290, R9 290X, and R9 295X2 graphics card offerings. This latest price cut is just one more incentive AMD is offering to get you to buy its gear over Nvidia’s. Why this matters: If you ever needed clear evidence of why competition is a good thing, here you go. With its two top-tier GPUs, no single-GPU graphics card on the market today is going to come close to the performance offered by the R9 295X2. While the R9 295X2 may have been a tough sell for budget-minded gamers at $1500 (or even at $1000), an $800 price tag puts it only $250 more than Nvidia’s top-performing single-GPU card, the GTX 980. Given the performance boost you’d get with the R9 295X2 over single-GPU offerings, you may find the $250 difference in price to be well worth it.